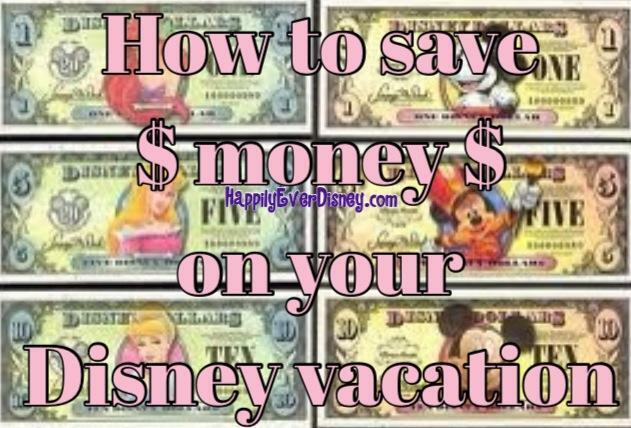 How to save money on your Disney trip BEFORE heading to the parks. Buy Disney related T-shirts and clothing before your trip. This will save you a bundle!!!! T-shirts and other clothing items cost quite a bit in the parks. By buying some ahead of time, you and your kids can have the fun of wearing your Disney gear without blowing all your spending money on them. 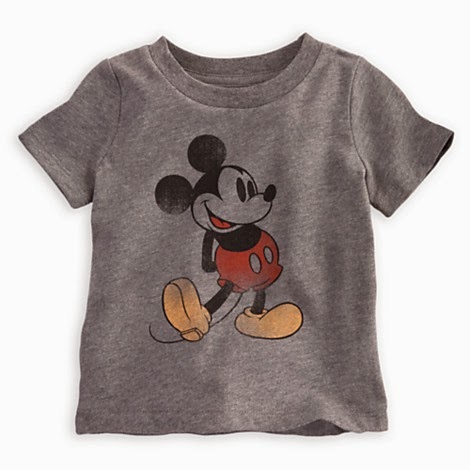 You can score great Disney clothing at a fraction of the cost at quite a few places. Here are my favorite places to check. The Disney Store. Yes, it's just as expensive as a Disney park, BUT they have great clearance selections. It's a fabulous way to get officially licensed Disney gear at a hugely discounted price. I have found the cast members at the Disney store to be super helpful. Simply tell them you are going to Disney and are trying to save some money, and ask if they have any good clearance items. Not only do they have a clearance section in the store, but often they have items they haven't moved to the clearance section that they can show you. Before our last trip I was able to get my kids shirts for about $5.00 a shirt!!! Also, keep in mind if you have a Disney visa, you get 10% off any purchase over $50.00 at Disney store and Disney.com. If you don't have a Disney store near you, check out their website. www.disneystore.com There is a clearance section online and you can use online coupon codes too. Find a list of all available coupon codes CLICK HERE. Second hand stores and thrift stores. I frequent second hand stores a lot and am always looking for Disney related clothing for our next trip. Last month I scored big when I found dozens of Disney parks official clothing. My biggest find was a Sorcerer Mickey hoddie. I know that these cost $50.00 in the parks!!!! I paid $2.00, and my daughter loves it no matter where it came from. It will definitely be coming on our next trip. Target and Walmart. Both stores have a decent selection of Disney clothing. Again, look for clearance items and sales. Even at full price, they are often cheaper than in the park. amazon.com. I have scored a few outfits for my daughter on amazon. Just do a search for Disney or specific characters, such as Minnie Mouse, in the clothing dept. I stick to amazon prime items to insure the orders are handled by amazon and not third party sellers. Usually between Thanksgiving and Christmas, amazon will offer lightening deals and many of the products are Disney clothing and items. Stock up on Disney trading pins before you travel. On our first trip to Disney after we had children I noticed a new trend at Disney. Everyone, especially kids, were walking around carrying books filled with pins or wearing them on lanyards around their necks. The best part is it's not just something to buy, but a fun activity. The pins are tradable. Kids (and adults) can trade with cast members in the park, or even other pin traders around the park. I was intrigued, but had no idea where to start. I went to a gift shop to look into buying a pin set for my kids. I was floored at the price, $4.95-$19.95 for each pin and the multi-packs were more. Now let me explain, I would have gladly paid the price for the pins, but I didn't want to shell out the money only to have my kids trade them for others I knew nothing about. All the pins cost different amounts, so truthfully it can be overwhelming. I saw a gentleman talking with a cast member about pins. It was obvious he knew what he was doing and he had thousands of pins. I asked him the best way to get my kids started and he gave me the BEST advice. He told me to go to amazon or ebay and buy a bulk of pins before our next trip. That way we would get a lot to start out with at a fraction of the cost. Plus since we weren't emotionally attached to any of the pins, it would be easier to trade. Before our next trip I purchased my pins from amazon. I choose amazon over ebay because amazon is easier to work with if you encounter an issue. Make sure you read the seller feed back, to pick a reputable seller. I was able to purchase 100 trading pins for less than $100.00. There were no duplicates and there were only 1 or 2 unofficial pins. (Disney cast members will accept unofficial pins to trade from children.) Here is a link to amazon to look for pin sellers CLICK HERE. We split the pins evenly between the kids. They didn't care if they got a pin they didn't like because they new they could trade them. 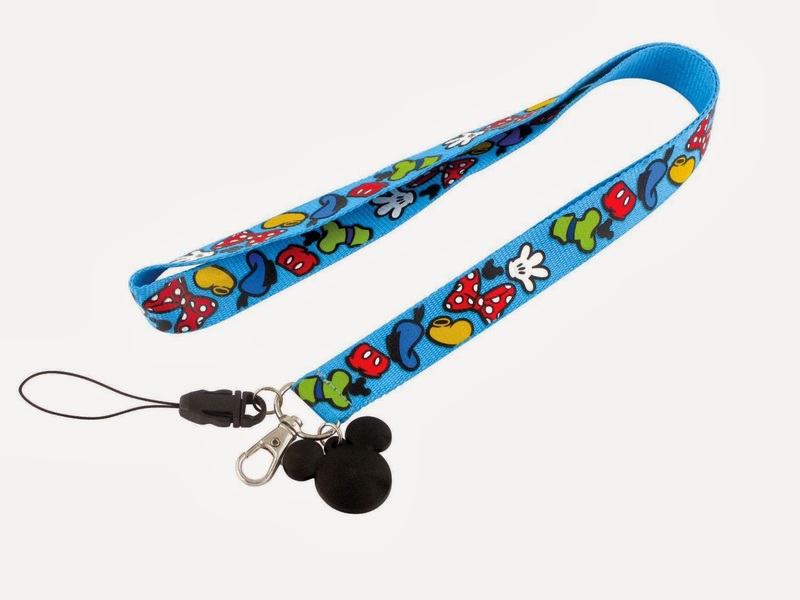 You will also want a lanyard to hold the pins while in the park. I personally bought new ones as a treat for my kids while we were in the park, but you can find them online as well. You can see some choices HERE. They are perfect for holding and displaying pins in the park, but can easily be placed in a backpack while riding rides. 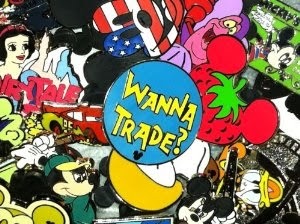 To learn more about Disney pin trading, check out this great article HERE from Mouze Kateerz. Strollers at Disney are big, bulky, hard plastic and EXPENSIVE. Cost for a single stroller is $15.00 per day or $13.00 per day if you purchase a multi-day pass. Cost for a double stroller is $31.00 per day or $27.00 per day if you purchase a multi-day pass. My favorite travel stroller is a Maclaren Triumph. It is incredibly light weight at 11 lbs. It has a full sun shade, reclines for sleeping children, has a basket, is easy for taller parents to push, but most importantly it easily folds with one hand and has a holder strap!!! This is essential for Disney. While riding Disney transportation you must fully close your stroller. I have seen so many parents struggling with bulky strollers they can't fold up and then try to lift onto the bus, boat, ect. while holding their child, a diaper bag and handling other children. We invested in a Maclaren Triumph 6 years ago for traveling and have LOVED it! Not just at Disney. It's pretty small when folded making it easy to pack in the car. We have used it to easily get on and off the subways in New York, and my hubby even went up and down the decks of Niagara Falls with it strapped to his back. It's light enough that my 12 year old was in charge of carrying it while we were riding back in forth to the parks on our last trip. 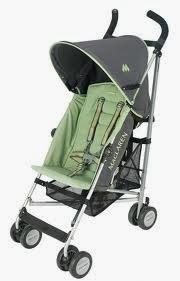 You can purchase Maclaren strollers at most stores that carry strollers. I personally waited for a sale at Babies R Us and used an additional coupon to score a great price. You can learn more about Maclaren Triumph strollers and other strollers HERE. They are a little pricey, but I can honestly say it is the only stroller that hasn't broken over the years, and we have used it a TON. You may be able to find one used if you look around at children consignment shops or local online garage sale sites. Stock up on food and drinks. This is a lot easier if you are driving, but even if you are flying you can take advantage of this tip! You have a couple options to get these last minute perishable items. You can stop just before you enter the park, but I choose to get them at my resorts store to save time. If you are staying at Fort Wilderness, there are two trading posts that sell grocery items. Other resorts usually have these items in their quick service eating area. Simply ask a cast member where the closest place to get the items are. You also have the option of using The Garden Grocer. This is a service offered to Disney guests and other local resorts. You can order items and have them delivered to your room. There is a small delivery fee and minimum purchase amount, so check it out before you decide to order. Another option is to have items shipped directly to your resort. Of course you will only be able to ship non-perisbale items, but this can not only save you on food, but it can also save parents of little ones from having to pack diapers, wipes, formula, etc. (I have even heard of parents buying and shipping a stroller and then donating it before they left.) My favorite go to site is amazon. Many don't realize that you can get grocery and baby items from amazon. They pretty much have EVERYTHING! To ship to your resort, call the resort your are staying at and tell them you would like to have items shipped. You can call 407-939-5277 and ask for your resort's front desk number. Your resort will give you the correct address to have items shipped to. Make sure your name is on the package. (If you ship from amazon it will have the amazon account holder's name on the shipping label.) Please note that you must ship no sooner than 2 weeks before your trip. I personally would choose amazon's 2 day shipping and do it 3 days before arrival. I would also call the resort after you order to confirm that you have a package being delivered. When you check in, let the front desk know that you had a package delivered. UPDATE(1/19/17): You can now you amazon now to have items delivered to your resort same day, often within hours. We utilized this on our latest trip and LOVED it. Simply download the amazon now app, and make sure you have your resort's address. 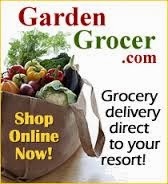 Garden Grocer will be implementing same day delivery soon. We will update when that become available. CLICK HERE for a FREE trial of amazon prime for FREE 2 day shipping, discounts and more. Utilize your resort's mini fridge. Update: Thanks to some renovations ALL Disney resorts now have at least a mini fridge. Some have full fridges with a frezzer, but most simply have the mini fridge. If you need something frozen (such as an ice pack to keep medicine or breast milk, etc. cool) simply place it in a clearly labeled ziplock bag and drop off at bell services at your resort, and they will gladly freeze it. Drop off before heading to your room at night and pick up in the morning on your way to the park. Please note that you can ask that medicines and breast milk be stored in a refrigerator inside each of the parks. Simply ask at the parks baby centers or first aide stations. And again be sure it is properly labeled. Ask for a fridge (and microwave if you need one) No need to ask anymore! Most resorts come with a mini fridge, but not all. Make sure you ask for a fridge in your room. This will save you money and more importantly time during your stay. It's great to be able to get up and have a small breakfast before heading to the park. It also helps little ones that might not be able to wait all the time it can take to get into the parks. Trust me, those bus and boat rides to the Magic Kingdom are soooooo much nicer when kids aren't whining "I'm hungry" over and over. It's also a nice way to keep some cold beverages on hand. Keep in mind you are allowed to bring outside food and drinks to the parks. We like to take a cold water bottle and then we have them filled up in the park throughout the day. Any quick service dining establishment will gladly fill your water bottles with water for FREE if you ask. Kids love new toys and treats. To save money and time and limit what you buy in the park, stock up on goodies before your trip. 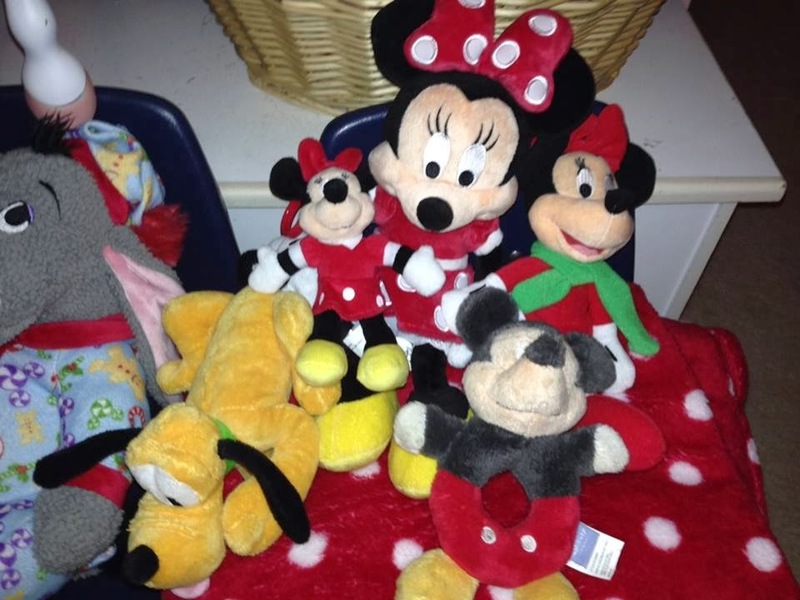 Many stores such as Target, Walmart and even The Dollar Store have a great selection of Disney items. I like to buy little coloring books and crayons, small stuffed animals, play jewelry, lego figures, candy treats and anything under $5.00 I can find. I give many of the items to the kids to keep them occupied on the drive down. Some are given throughout the trip. 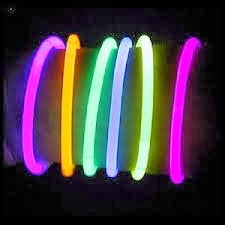 Another fun and practical gift is glow bracelets. You can usually find them at The Dollar Store. My kids all love anything that glows and lights up and Disney sells a LOT of light up items, so this helps deter them from wanting a $20.00 light up wand, but the best part about these is it helps you see your kids in the dark when you are in the park after sunset. Give each child a gift card to stay on budget. Disney has some great unique items, so you're going to want to buy some things. Tell your kids ahead of time what they can get. For my kids we pick a certain item that everyone will get and then give them a budget that they can use on whatever they like. On our first trip I let everyone build their own light saber in Hollywood Studios and pick out a pair of Mickey ears. On our next trip they got to make their own droid in Hollywood Studios and get a piece of clothing (such as a t-shirt or hoodie). We've done other things as well and we tell them ahead of time what we will pay for. The rest we give them a Disney gift card to spend as they choose. 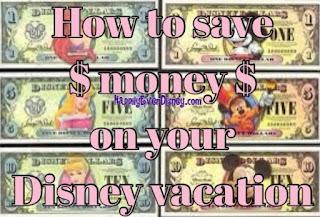 How to save an additional 5% OFF your entire Walt Disney World trip using Target and other store cards. A little tip: Use a sharpie to write your child's name on the gift card to easily see which is who's. Consider holding onto their gift cards and money until they need to use them. If they are lost, there is no way to get them back. Prices at Disney can go up and down based on the time of year you stay. Try to look at the best times to go to save money, such as the off season. Also, make sure you research all the resorts and their prices. Many resorts with bigger pools with water slides cost more. If you won't be spending much time at the pool, there is no need to pay more to stay where there is a bigger one. If your resort room is simply a place to sleep at night and you won't be spending much time there, consider staying at a budget resort. Sometimes Disney will offer free dining plans if you stay at specific times of the year. If you are trying to take advantage of this deal, you will need to stay in a qualifying resort. There are various dining plans. Sometimes certain value resorts will qualify for the cheaper quick service dining plan. The quick service plan does not include sit down meals, such as character dining, but you can upgrade to the better standard plan that does include sit down meals such as character dining. The resorts that qualify for the quick service dining plan change often, so make sure you call and ask Disney if the resort you are considering would qualify for a free dining plan should one be offered. The least expensive moderate resorts that qualify for the standard free dining plan that includes sit down and character meals when it is offered are The Caribbean Beach Resort, Coronado Springs Resort, Port Orleans French Quarter and Port Orleans Riverside Resort. If you won't be eating much in the parks, it will be cheaper to stay in a value resort and pay out of pocket for food, but if you eat in the park or plan on some character meals, you will probably save more money getting a more expensive resort such as a deluxe or moderate resort and getting a free dining plan if offered. If you travel when a free dining plan is not offered, I still recommend purchasing a plan if you will be eating in the parks. I love the ease of not having to think about prices and just going to eat and it being taken care of. You can learn more about the various Dining Plans offered by Disney by CLICKING HERE. If you want to mainly eat in your room or even cook full dinners, I recommend staying in the Cabins at Fort Wilderness. As a moderate resort, it is a little more pricey, but you get a fully stocked full kitchen great for cooking, lots of extra room and parking at the cabin. Plus the Fort Wilderness area offers amazing activities! The cabins do qualify for a free dining plan during free dining promotion dates. One way to see if a dining plan would benefit you is to look up the prices at the restaurants you would like to to dine in. Calculate how much it would cost for your family to eat during your trip and then compare it to the price of the dining plan that would cover those types of meals and snacks. Note, that gratuity must be paid regardless if you have a dining plan or not and is not covered by the dining plan. To see a list of all the restaurants in Disney World and check out their prices, check out this great list from The Disney Food Blog. CLICK HERE You can also see the list of Disneyland restaurants HERE. See if there are any deals available and continue to check even after you book your vacation. Disney often offers special promotions on room rates, package deals, free dining, kids stay free, and more. To see the current list of promotions CLICK HERE. 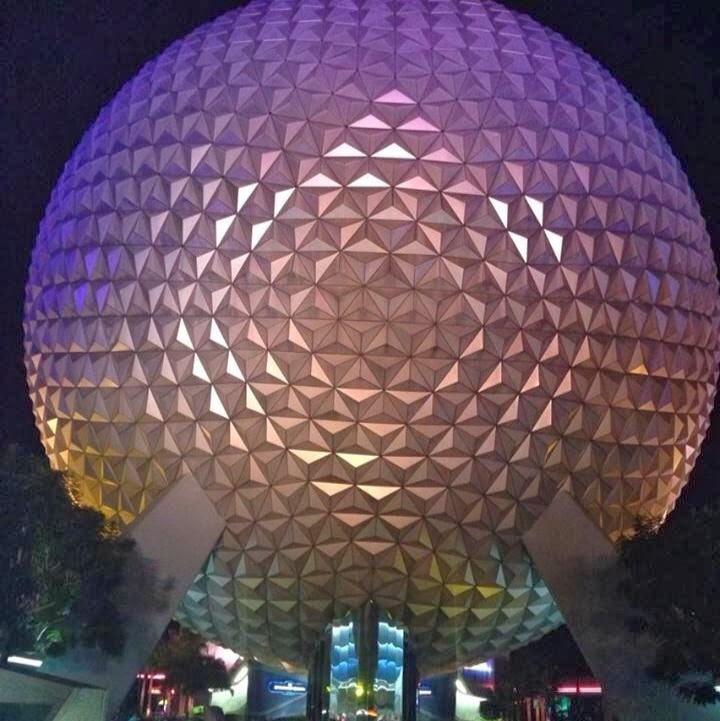 If you book a trip and a deal comes along afterward for the same dates as your trip, simply call Disney (407-939-5277) and tell them you would like to take advantage of the deal. They won't automatically change it, so be sure you call. If there is more than one deal available, ask them to see the price differences of each. You can only use one promotion at a time, so if they offer room rate discounts at the same time as a free dining discount they will be happy to calculate both and give you the better deal. Ask if you have any available pin codes. Pin codes are very mysterious and given to people at random. Disney enthusiast and bloggers have been trying to crack the code for years unsuccessfully. A pin code will give you a promotion not available to the general public. Often these are mailed or emailed to people, but you can also ask if one has been assigned to you. You never know when the code may have been thrown out as junk mail. Disney has some of the best customer service of any company on the planet. They are incredibly helpful and do everything they can to accommodate their guests. However, with that being said, if something comes up and you need to cancel your trip within 45 days before your trip, you will be liable for the cost and not refunded! This even goes if there is a Hurricane or other "act of God" that keeps you from traveling. 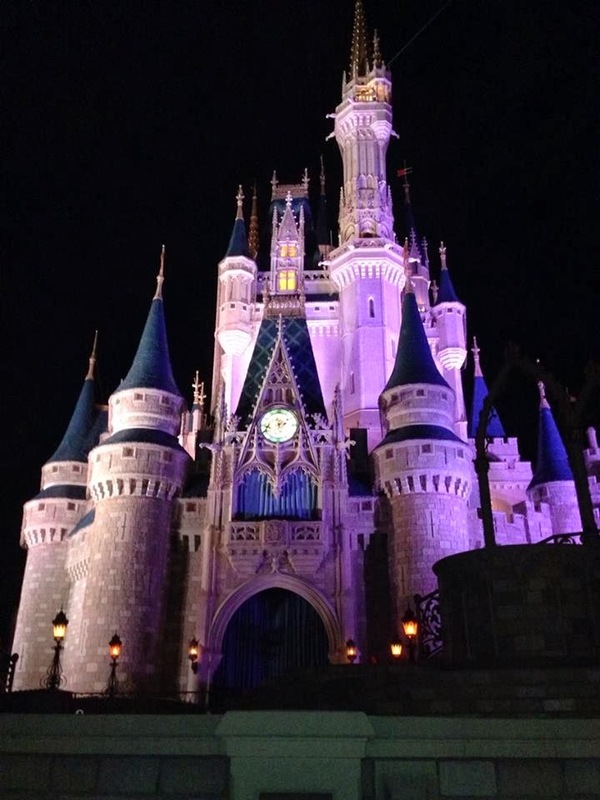 Disney offers a basic travel insurance at a minimal cost. Approximately $100.00 depending on your trip cost. It doesn't cover everything so ask for details. We have been happy to use the insurance offered by Disney. I recomend researching other insurance options as well. There is a great website that compares other travel insurance companies and what they cover. CLICK HERE to visit the Insure my trip website. Nothing stinks more than having your car break down or getting a flat while you are traveling. Take your car into your local dealership or even a Walmart Auto Center to have it seviced. Tell them that you are traveling and want to have it throughly checked out. You'll want an oil change, fluids checked, brakes checked, tire pressure checked, battery checked and possibly new air filter and windshield wipers. Your car will be happy, and you will have one less thing to worry about. Unless you are staying in an RV in Fort Wilderness, you will not be able to have your pets in any of the resorts at Disney World. Disney does have a kennel that you can board your pets in called Best Friends Pet Care. CLICK HERE to learn more. To save on pet boarding/sitting shop around before your trip. You may be able to find a cheaper kennel in your home town. Also consider having a pet sitter. With both of these options, do your homework and read reviews. You'll want your furry friends to be safe and cared for properly while you're away! One good way to save on pet expenses is to have a friend or neighbor take care of them for you. Of course make sure you know the person well enough to trust that they will be able to care for your pet properly. 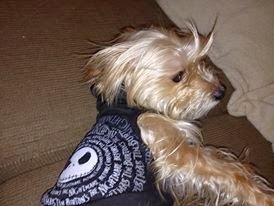 One thing I did on my last trip was offer a trade for pet sitting. Because I am a baby sitter, I was able to trade some free baby sitting services for free pet sitting services from a mom friend that I know. It saved us a ton on pet care expenses and also helped the mom save some money too, so it was win-win. Keep in mind if you have your pet stay in a kennel, they will need to be up-to-date on vaccinations. To save on vaccinations, call your local humane society and ask if they offer low cost vaccines or know of a place that does. You will also need to do this well in advance. Many might not have appointments available right away and most kennels require that vaccines be administered a week or two in advance of the pet's stay. It may be easy to swipe that credit card for that awesome giant stuffed Mickey Mouse, but it's no fun when you are back home and still paying for your vacation months later....and with interest! If you start a savings account and add a little each paycheck, you will have some money that you can use guilt free without the stress of making minimum payments and getting charged that nasty interest. Instead of paying a credit card company interest, invest it in a savings account and have the banks pay you interest. My favorite bank that I use for saving is Smartypig.com. Don't let the silly name fool you. Smartypig is the number one bank recommended by bankrate.com for savings accounts, is FDIC insured, and earns the most interest on savings over any other banks at 1%. Even better, you can share a link on social networks and email to allow others to contribute to your savings. If you have a birthday or Christmas coming up, you can send a link and others can add money to your account securely without them seeing any of your personal information. (This is also a great way to have a college fund set up for your children that family members can contribute too.) To learn more and set up an account, CLICK HERE. 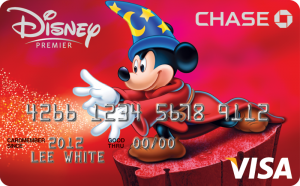 I don't usually advise using credit, but this is one card I recommend to anyone traveling to Disney! I also suggest getting the premier card. Yes, there is an annual fee for premier ($49.00), but you will more than make that amount back! If you don't travel to Disney often, you can sign up for premier and then within the first year ask to have it switched to a non-premier account. We like to have the card, just to have it to show we have an account to gain our in park perks, such as private character meet and greets. We also love that it earns Disney rewards that get transferred to a Disney gift card to be used either to pay for our vacation, or in the park to buy souvenirs. We will save up the cash to pay for our trip, charge it to our card to earn 2% in rewards and then pay it off same day. It's a great way to get some free money to spend. To learn about all the perks of having a Disney Visa card CLICK HERE. Private lounge with FREE refreshments, restrooms, phone charging stations, and board games to play during Epcot park events such as food and wine festival. At Walt Disney World® Resort, stop by our private location—reserved just for Cardmembers—to meet and pose with some of your favorite Disney characters. Get a complimentary 5 x 7 photo, too! Just present your Disney Visa® Card to enter this exclusive event, offered daily 1pm to 7pm at Innoventions West at Epcot®. Receive 10% off on select merchandise purchases of $50 or more at select locations at Walt Disney World® Resort owned and operated locations. You can enjoy this discount any time during normal Theme Park hours. Just use your valid Disney Visa® Card or Disney Rewards® Redemption Card and mention this offer. Receive 10% off select dining locations at Walt Disney World® Resort (restrictions may apply). Just use your Disney Visa Card or Disney Rewards Redemption Card at the locations below and mention this offer to receive the discount. Receive 15% off the non-discounted price of select guided tours. Just use your valid Disney Visa Card or Disney Rewards Redemption Card and mention this offer. Discounts are not available on the following tours at Walt Disney World® Resort: VIP tours, programs exclusive to groups, group team building programs. To learn more or apply for a Disney Visa CLICK HERE. Use your Target card and other store cards to save up to 5% OFF your entire trip. These are just a handful of ideas to help you save. Every family is different and will enjoy various things offered at Disney World. Just remember you are on vacation, enjoy yourself. Especially if it is a once in a lifetime trip. If you see something you really want, go ahead and treat yourself. Enjoy a good meal and savor the moments. Be sure to check out our Ways to Save page for additional tips.